David Silbersweig, one of the top minds in health care and medicine, weighs in on the excitement, innovation and career-development opportunities that abound. David Silbersweig says a teaching hospital is everything a “regular” hospital, but on steroids. He should know—he’s chairman of the department of psychiatry and co-director for the Institute for the Neurosciences at Brigham and Women's Hospital, and is the Stanley Cobb Professor of Psychiatry at Harvard Medical School and the Harvard Medical School academic dean at Partners HealthCare. He recently wrote an article in The Washington Post that looked at the role of teaching hospitals and how economic pressures are putting their missions at risk. We spoke with him about the importance of teaching hospitals, what you need to know about working in one and how to thrive in the exciting and fast-paced environment. Q. What role do teaching hospitals play in health care? A. Teaching hospitals provide primary and secondary care [basic levels of health care], but also tertiary and quaternary care [highly specialized care]. When people get sicker or have more comorbidities and are progressing, or if there are acute, emergency situations or ICUs that require high-level care, teaching hospitals are able to provide a very advanced, expert level of care. There is a thrill and excitement to working there. On top of that, there are two key academic missions integrated into the clinical mission and service to the community: research and education. In a teaching hospital, they are training the next generation of providers and leaders. In terms of research, they are uncovering the fundamental knowledge of what diseases are, new systems and processes, and methods of care. The talent, excitement and innovation in the culture of a teaching hospital that infuses these main missions provides a very vibrant and stimulating career opportunity, and vehicle for growth for careers as well. Q. How do jobs at teaching hospitals differ from those at other institutions? A. The culture is one of excellence. And while that’s the aspiration of all institutions, teaching hospitals tend to attract and cultivate people who are at the top of their fields and deeply committed. In that regard, there are advantages in terms of who your peers are. In addition, there’s more of a chance to innovate and, if you have new ideas, to be a part of change and advancement of care. Also, the opportunities for growth are wider and more varied than in a nonteaching hospital. You have a chance to work on special projects and research, as well as be a mentor or get expert mentoring, or be part of new initiatives. Q. 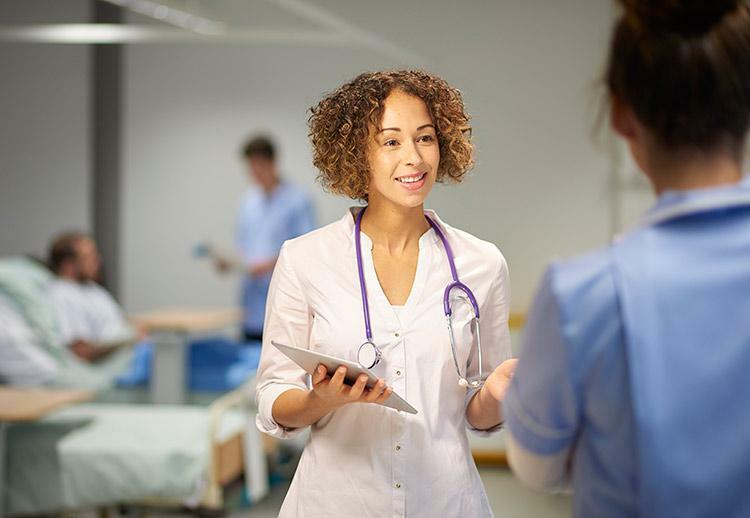 What kinds of qualities are hiring managers at teaching hospitals looking for? A. I asked Julie Celano, Brigham and Women's Hospital’s vice president of human resources, this question. She says they look for people who want to have a voice in shaping the future of health care, people who think about better ways of doing things and people who can focus on making others successful. Q. What else do people need to know about working in a teaching hospital? A. It’s a career of constant growth, and you’ll be in a place with a lot of resources—seminars, courses, training modules, tuition reimbursements for outside academics and other degrees that may be different than what you get at a nonteaching hospital. You need to be aware of the rich environment that is available for your own personal development. There are role models and mentors who can get you [where you want to be]. The top teaching hospitals are good at everything and are on the cutting edge of all areas of medicine. That said, different teaching hospitals may be known for different specialities—the Dana-Farber Cancer Institute [is known] for oncology, for example. Some may have more basic research going on, some might specialize. Like in any industry, certain places may develop a strong reputation in a certain area. The top teaching hospitals are very accomplished across the board and attract and retain phenomenal people. Q. Any words of advice for working at a teaching hospital? A. Having curiosity and initiative are helpful. There are tremendous opportunities for people from underrepresented populations as well; they may not be aware of the resources and accessibility that’s available to them.